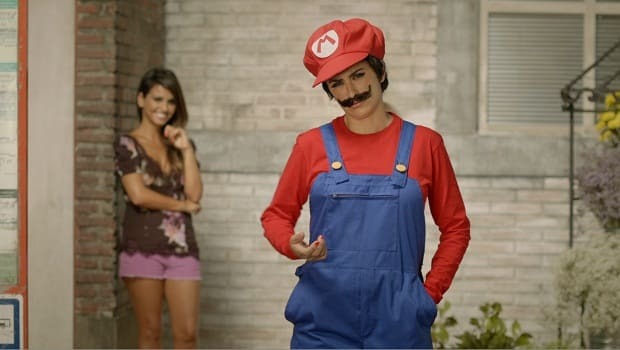 Nintendo has joined forces with Academy Award winning actress Penélope Cruz and her sister Mónica Cruz in a new advertisement campaign for New Super Mario Bros. 2. Within the television advert, the sisters place a bet as to who will reach the Goal Pole at the end of the course first, with a forfeit for the player that finishes last. “Teaming up with the Cruz sisters is a perfect fit for us. Not only because New Super Mario Bros. 2 lets two players enjoy the entire adventure playing as brothers Mario and Luigi simultaneously but because these sisters have been genuine fans of the series for many years,” commented Laurent Fischer, Nintendo of Europe Managing Director of Marketing and PR.